The Pointless Pollution Education Kit includes information, interactive lessons, and hands-on activities to incorporate in the classroom and community. The lessons and activities include grade level, reference to the New Jersey Core Curriculum Content Standards, goals, objectives, materials list, activity descriptions, activity evaluations, activity extentions, glossary, and useful websites. Kit can be ordered by phone/mail/email or downloaded. Download Education Kit now! (Requires Adobe Acrobat; to download Adobe Acrobat for free, click here) Or request a printed version below. A series of "tip cards" designed to educate distinct groups of people. These cards teach people how they can minimize their contribution to the problem of nonpoint source pollution or "pointless pollution". Aimed at specific user groups (e.g., kids, drivers, boaters, homeowners, shore visitors), the cards are excellent educational tools to broadcast the pointless pollution message. Order set of 10 Tips below, or click this link to see the 10 Tips series. 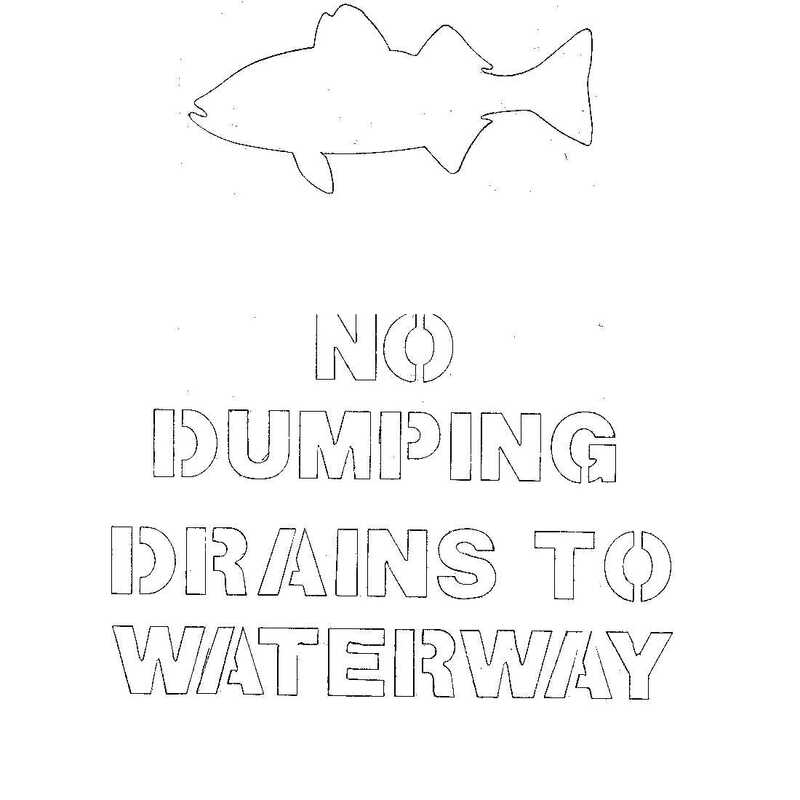 Learn how to stencil storm drains to alert the public about non-point source pollution with step-by-step instructions, two stencils (one fish image and one text stencil), and 50 educational door hangers. "Painting the Town Blue" video: a 22-minute VHS that follows a class learning about pointless pollution and coordinating a storm drain stenciling project. "Clean Beaches...Naturally" video: a 6-minute VHS that lays the groundwork for organizing a beach cleanup. To order FREE matierials: Fill out the form below; to order more than one item, please send one form per item. To order items for purchase, please call COA's main office (732-872-0111) to use MasterCard or Visa, or send a note listing the ordered item(s) with payment to: Clean Ocean Action, "Education Materials," PO Box 505, Sandy Hook, Highlands, NJ 07732.